Vending Surrounds by Nebrak. Stunning modular and bespoke units built to order. Vending has never looked this good. 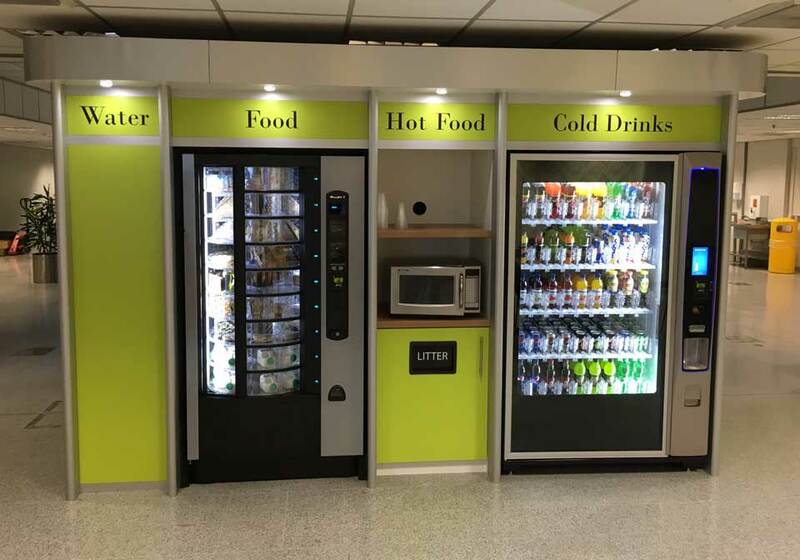 Whether you’re looking for a bespoke vending surround or one of our exclusive modular units, Nebrak are here to help make your ideas a reality. 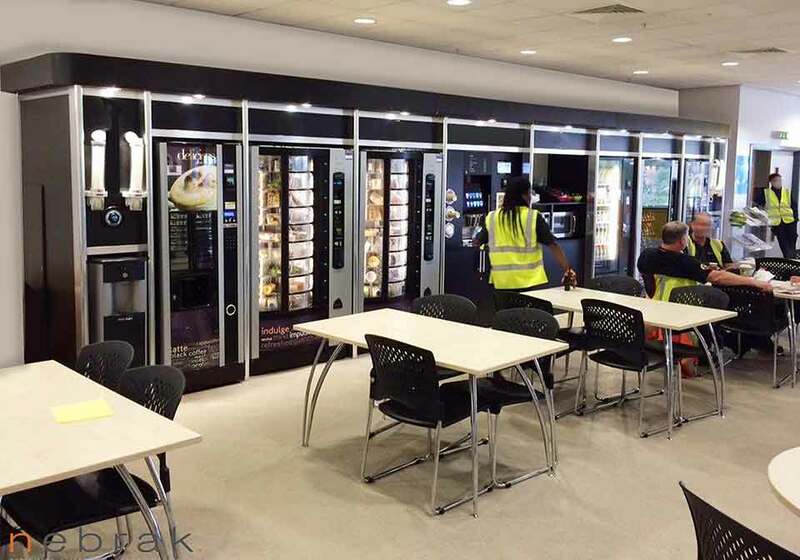 From the initial design through to installation, Nebrak are on hand throughout the project to ensure your bespoke vending surrounds are built on time. Because of this, we make sure they’re also within budget and built to the highest quality possible. For those looking for a modular system, our patented Operandi surround has become the industry standard. 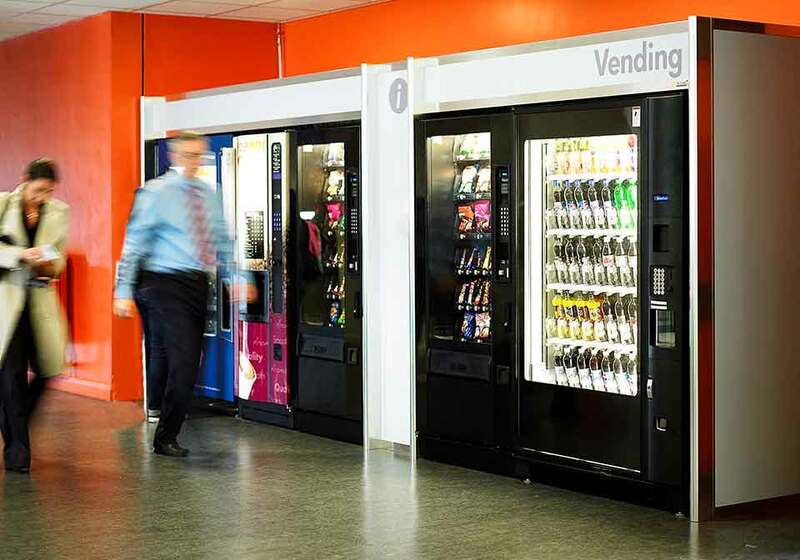 The anodised aluminium post means Operandi is robust enough to cope with the everyday use of the vending machines, whilst also stopping any unwanted movement. It also helps reduce any potential vandalism, ensuring your machines are kept safer for longer. 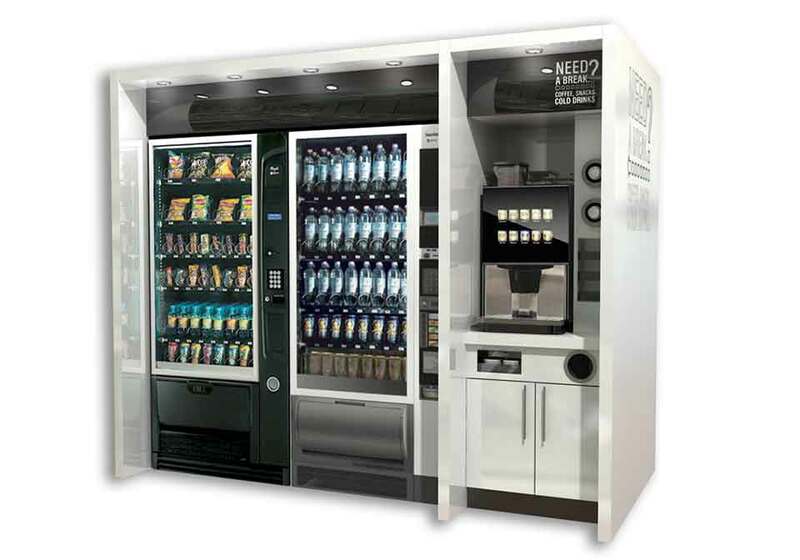 Available in standard medium density fibreboard or laminated using a massive range of exciting colours and eye-catching finishes, Operandi helps draw customers to your vending areas. With over 314 colours and finishes to choose from, you’re spoilt for choice. If you can’t find what you’re looking for, our in-house design team are happy to provide a custom finish. 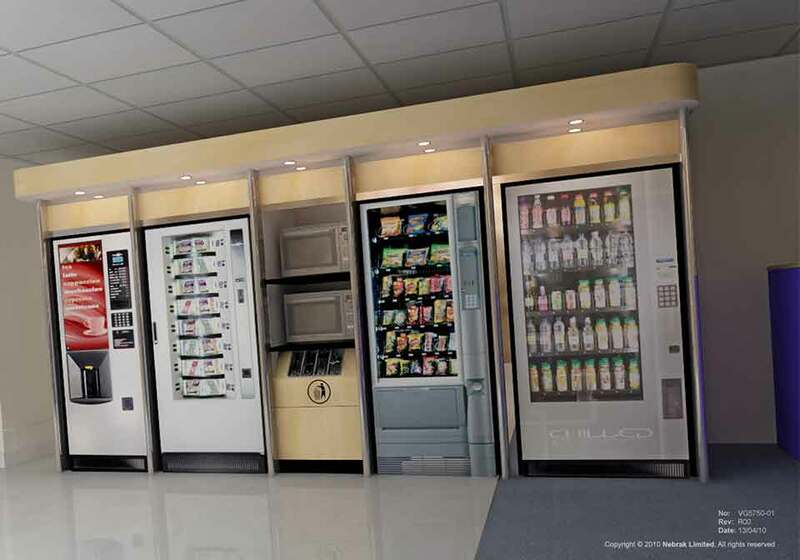 Our Operandi units can also span up to 4 machines, making them the perfect choice for fitment into tight areas or to give a continuous look to banks of vending machines. 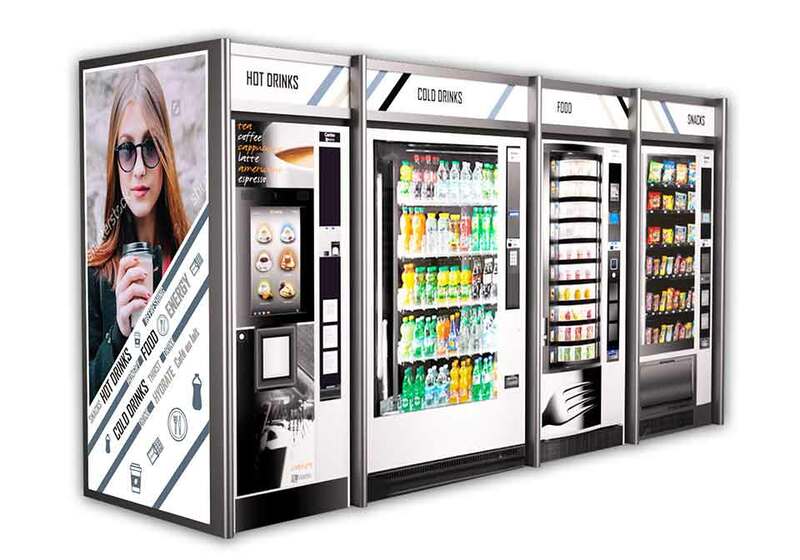 Over the years we have used a number of other companies for our vending housing requirements primarily due to our location in Scotland and Nebrak located in Devon. Companies we used provided good looking housing units but over a period of time they would loose there appearance and stability and end up not fit for purpose. We made the decision to use Nebrak and from start to finish they convinced us geography is not an issue and provided a housing for a number of machines excelling our expectations on finish and professionalism from start to finish. We will now be using only Nebrak for all our future housing work and more importantly our clients are delighted. You will probably have some questions, pop over to our frequently asked questions page to see if we can help.